A new brand of DIY self-sufficiency is spreading across The Netherlands. Skilled craftswomen, mechanics, seamstresses, and handypersons are banding together to resist disposable consumer culture. It is the rise of the Repair Cafe, a place where neighbors get together to extend the life of their material belongings. “Fixers” mend clothes, restore furniture, rehabilitate electrical appliances, and enjoy each other’s company while industriously toiling away. The first cafe was founded by Martine Postma in Amsterdam in October of 2009. Today, there are 20 fully operational Repair Cafes, and 50 more in the planning stages. “I started the cafe because I think it’s a shame we throw things away before their time,” Martine told RNW. “Many people don’t know how to repair things anymore.” The cafe gives volunteers the satisfaction of fixing things, and it saves community members time and money all while saving the environment. With the support of the Ministry of the Environment and the DOEN Foundation, Martine is ramping up her efforts to resurrect repair culture in the region. Effectively scaling up means a lot of time on the road. A new van has made it possible for Martine to connect with interested communities. She and a few repair folk travel the country setting up cafes and customizing development strategies for each town. This hands-on approach has been successful because it gives local activists a clear picture of what they’ll need to successfully coordinate and grow their own collaborative enterprises. 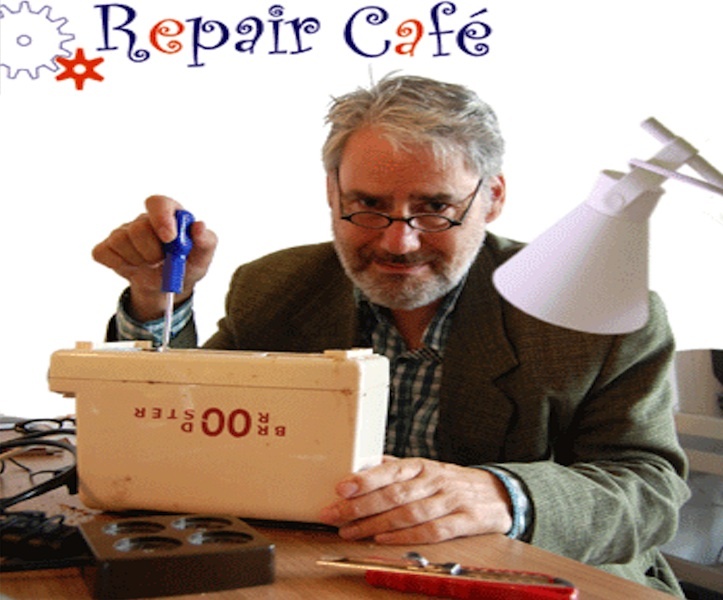 At the rate Martine is going, it won’t be long until there is a Repair Cafe in all of the Netherlands’ 415 municipalities. This could relieve a tremendous burden of unnecessary waste and will set a stellar example of what individuals can do to change the global lifecycle economy. This model should be adopted far and wide. Sure, Brooklyn has sewing clubs and San Francisco’s urbanites fix things at the Bike Kitchen, Tech Shop, or Noisebridge, but where do you go when the vacuum refuses to turn on or the stereo is fuzzy? Straight to the manufacturer? Back to the store for a replacement? The economic and environmental burden is too great to continue such wasteful behavior. Thankfully, there are people like Martine on the case. 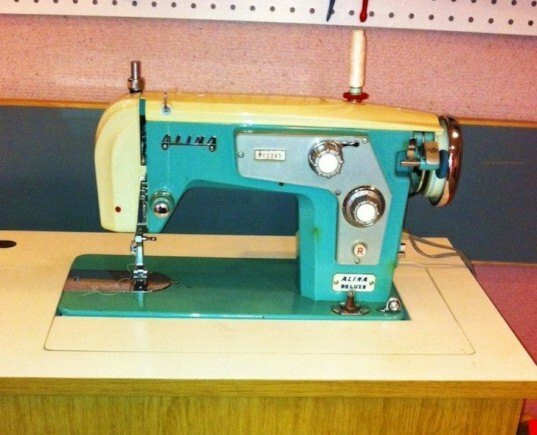 Does your town have anything like The Netherlands’ Repair Cafes? Let us know in the comments section below. We love the choice of words, but we want to think the model has ALREADY been adopted far and wide, not only in Brooklyn, but also in places like the West Seattle Fixers' Collective. iFixit.org will continute to feature even more fixerspaces in the future! Brooklyn does have the Fixers Collective. They get together at least once a month to fix anything people can carry into their primary residence at the Proteus Gowanus gallery. They've been around since the gallery's 2008/2009 Mend exhibit. You can read and see more about them on HuffPo Green, Grist, Vimeo, fixerscollective.org and their Facebook page. A new brand of DIY self-sufficiency is spreading across The Netherlands. Skilled craftswomen, mechanics, seamstresses, and handypersons are banding together to resist disposable consumer culture. It is the rise of the Repair Cafe, a place where neighbors get together to extend the life of their material belongings. "Fixers" mend clothes, restore furniture, rehabilitate electrical appliances, and enjoy each other's company while industriously toiling away. The first cafe was founded by Martine Postma in Amsterdam in October of 2009. Today, there are 20 fully operational Repair Cafes, and 50 more in the planning stages.